Human remains are being recovered in the aftermath of the crash of an Indonesian airliner into the Java Sea with 189 passengers and crew aboard and searchers now believe they may have found a large piece of the plane’s fuselage. Search-and-rescue personnel have found the remains of at least 48 people who were aboard Lion Air Flight JT610, a Boeing 737 Max 8, when it lost contact Monday with air-traffic controllers 13 minutes after taking off from the capital, Jakarta, according to the National Search and Rescue Agency. The agency says rescuers expanded their search to 15 nautical miles from the crash site in the Java Sea. Rescuers have also located a 70-foot-long object on the seafloor that they believe is the plane’s fuselage and are working to confirm the origin of an underwater “ping” thought to have come from one of the plane’s recorders, Reuters reports. 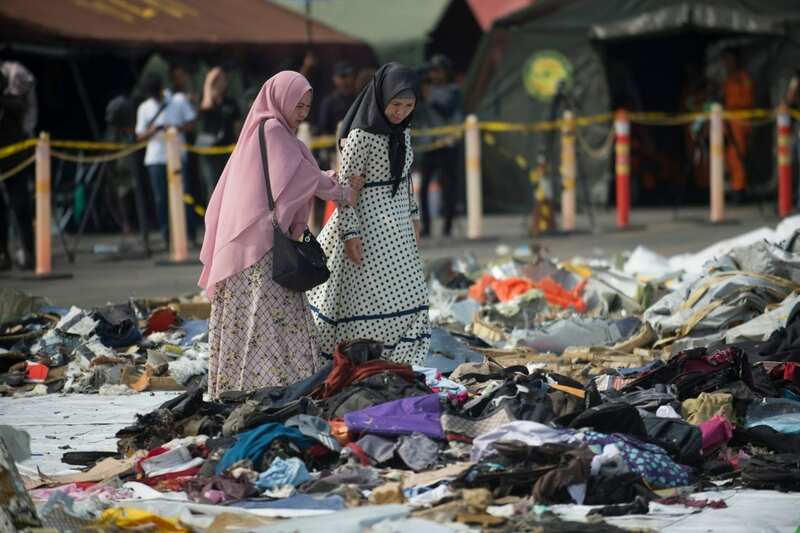 “We strongly believe that we have found a part of the fuselage of JT610,” military chief Hadi Tjahjanto reportedly told told TV One. The search team has the location coordinates but still must confirm that it is the fuselage, he continued. Officials have now reportedly deployed “pinger locators” to find the recorder. A commercial airliner jet’s “black box” — the data recorder that facilitates aviation accidents — is located in the fuselage. Its contents may help explain why the nearly brand new Boeing 737 MAX 8 went down. Shortly after JT610’s takeoff early Monday morning, the flight crew asked to return to the airport, but minutes later, it suddenly lost altitude and crashed into the sea. Lion Air, a low-cost carrier, was barred from flying in U.S. or European Union airspace due to its poor safety record. Budi Karya Sumadi, Indonesia’s transportation minister, suspended the carrier’s technical director on Wednesday, Reuters reports. A team from Boeing is reportedly meeting with Lion Air on Wednesday.